Missouri law holds that a dog owner is responsible for any injuries that result from their dog biting someone. Often times it may just be a "nip", but a nip is a bite, and a bite can lead to unforeseen consequences including nerve damage, scarring, and even amputation. Furthermore, if a dog is unruly and tends to jump up on visitors, someone can fall down and break bones, tear ligaments, or even hit their head and suffer a catastrophic injury. Chapter 273 of the Missouri Revised Statutes governs what a dog is, who is responsible if a dog bites someone, and what those penalties can be. 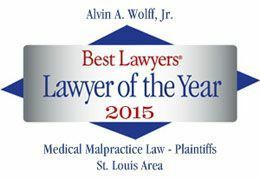 See the Missouri Revised Statute regarding dog bites and responsibility here. If you have been bitten, knocked over by, or otherwise injured by someone else's dog, we can help. In fact we have the largest settlement in a dog bite case in St. Louis County.